The concept of watching free movies online has grown massively in the recent times. You have series of big fat players like Netflix, Hulu, etc. 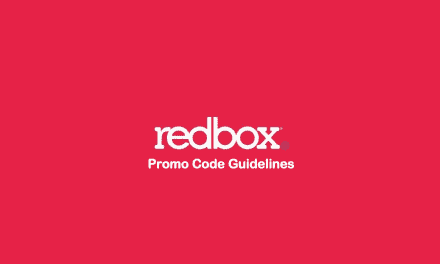 who offer fantastic films & TV series on a subscription model. On the other side Crackle, Popcornflix, Yidio, etc. are making a mark in the free online movies websites domain. Lately, TubiTV has created a lot of buzz as a free movie streaming website. If you haven’t tried it yet and have unknown apprehensions of using TubiTV, then this review of Tubi TV might help clear some air. Tubi TV is a San Francisco based company and has recently raised $20 million additional funding to support its advertising-supported free TV and movies streaming services. 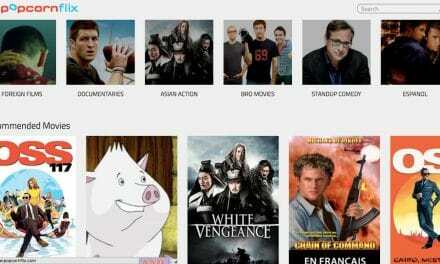 It proudly mentions offering around 70,000+ free movies and TV shows. But in reality, not all films and TV series are from the best and known list. Although, if you head to their website www.tubitv.com, then you be impressed to see their association with Paramount, LIONSGATE, MGM, and Starz. You can also find TubiTV as a free movie app on Android & iOS stores. TubiTV is also available on a glut of devices and platforms such as XBOX & Roku. Let’s us dive deeper and slice and dice every aspect of Tubi TV in detail. Tubi TV official website cover page features the snapshot of great movies like The Last Stand, Hostel, Haywire, Gladiator, Snitch, Wildcard, etc. However, when I browsed all categories, then I discovered a lot of movies, which I had no clue. It certainly has over 70,000 titles, but not all films and TV shows will be of your interest. Having said that, TubiTV is improving on its library content. You cannot expect it to compete with Netflix or any other paid online movies and TV shows platforms. But we did find a great collection of foreign films and indie movies. TubiTV has around 35 categories, and some these types are uniquely innovative. For instance, there are categories as “Not on Netflix”, “Leaving Soon”, etc. Also, if you open genres such as “Foreign Favorites”, then you will have further options to choose from “International Film”, “Chinese Drama”, etc. Some of my favorites categories are “Cult Favorites”, “Indie Films”, “Featured” and “Reality TV”. TubiTV rotates the collection of movies and TV series time to time, thereby providing a new feel factor. So, if you are not able to watch any queued video after a few days, then you can assume that the content is taken down. I did find some excellent stuff for preschoolers too. It has a separate section titled as “Preschool”. This genre has around 24 cool and yet informative films for kids. Learning Geography, Baby’s beginnings, Baby’s first-word stories, Spot the difference, Learning history with Om Nom, etc. are some of the films in this genre. Their user interface is just beautiful. It has a clean layout and provides you decluttered experience. You do not have to sign in to watch movies. However, I recommend you to sign in as it will give you a personalized option as “Your Content”. This section will have two more sections as “Continue watching” and “Queue”. Also, if you have a login id on Tubi TV platform, then you can sync your content on multiple devices. This is an excellent feature as you may want to continue the leftover movie from its website to its application on other supported devices. Website loads pretty fast, and as you scroll down, you can load even more categories. If you have signed in then, “Your content” will come at the very beginning. This shows that TubiTV has thought well over user personalized experience. TubiTV app has pretty much similar layout when compared to its website. The application has four primary options like Home, Browse, Search and Account. Video streaming quality on TubiTV is good if not excellent. It does not have full HD resolution option. All videos could be viewed in full-screen mode on all kind of devices and platforms. You can choose video quality from these five options 720p (2160 kbps), 720p (1603 kbps), 480p (1203 kbps), 480p (893 kbps) & 360p (590 kbps). On top of these, you have its default option as “Auto”. This option will select the best suitable video resolution based on your internet speed. I didn’t face any buffering issues while streaming videos. Even a moderate internet speed will be enough to have a bufferless experience. Tubi TV video player has almost all standard options required to enrich your streaming experience. It has options like fast forward and backward, 30 seconds forward and backward, full screen, screen resolution selection, subtitles and volume rocker. As I mentioned before, TubiTV is a free movie and TV streaming service. Ads are the only mean for Tubi TV to cover up for incurring the cost. But they have not overdone when it comes to commercials placement. Advertisements come in between you watch any video. It is quite similar to watching any TV series or movies on television. Most of the Ads come in almost 10-15 minutes interval. We do understand that these Ads could be sometimes frustrating, but then this is a small thing that you have to bear for watching your favorite videos. Tubi TV is available on multiple devices such as iOS, Android, Roku, Amazon Fire TV, Apple TV, XBOX, Samsung smart TV, Play station 4, Chromecast and TIVO. All these apps are free of cost. Not to mention, you can also watch TubiTV on various web browsers, such as Google Chrome, Mozilla, Internet Explorer, etc. All genres, movies, TV shows may not be available across all countries. For example, if you open TubiTV in India, then you may only get to see 24 categories in spite of 35. Also, movies like Snitch, The last stand, Daybreakers, etc. are unavailable. The USA is the only country where all of its contents are available. But still, if you want to watch your favorite movie or TV shows outside the USA then you take the help of web proxy or VPN services. You do not have to pay a single penny for watching any video on Tubi TV. Also, there are no hidden charges. You can straight away sign up and enjoy the streaming experience. Is it legal to watch movies on Tubi TV? Tubi TV has partnered with big names such as Paramount, Lionsgate, Starz, etc. So, there is no question about its authenticity. All of its content is legal to stream without any worry. All in all, TubiTV is undoubtedly a nice website to bookmark to visit more often. You can no way compare it to any other paid movie streaming sites as it is free of cost. Also, recent investment in this company has given us an indication of having even more latest and great films in the near times. Videos on Tubi TV are clean to watch and has all the required features. Summary Overall, Tubi TV website is worth to consider for streaming online videos such as movies and TV series. The look and feel of its applications on various devices are similar in experience. Although, the collection of movies or TV shows are not that great. But I am sure that with the passage of time, the library of content will improve. I do not see any reason why not to recommend this service to everyone. 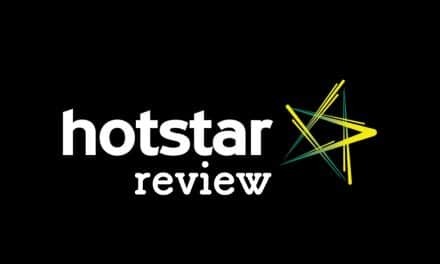 Review of Hotstar – India’s largest OTT Service Provider of Movies, TV Shows, Sports, etc.